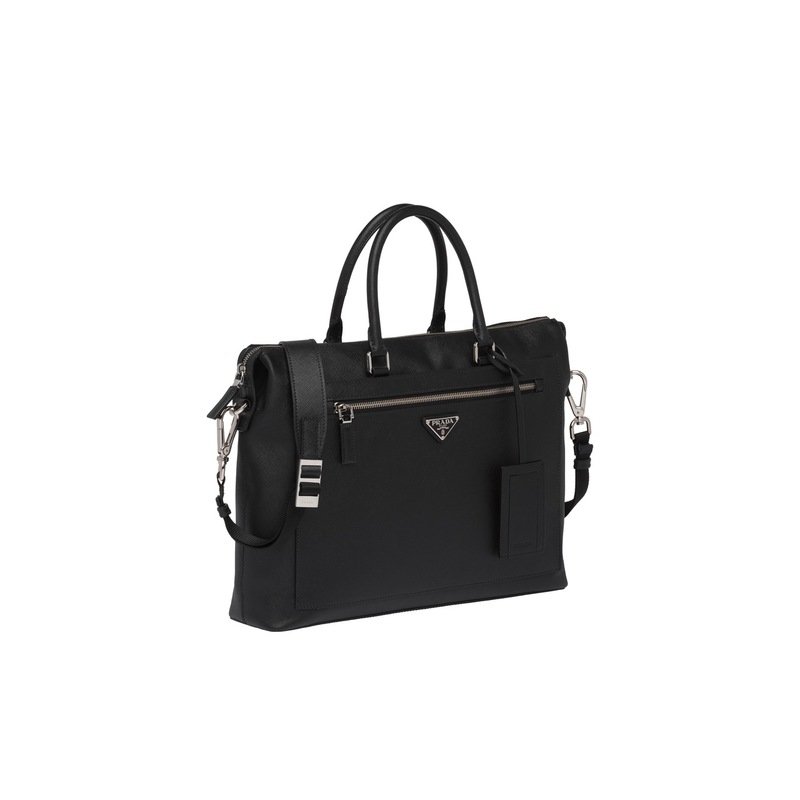 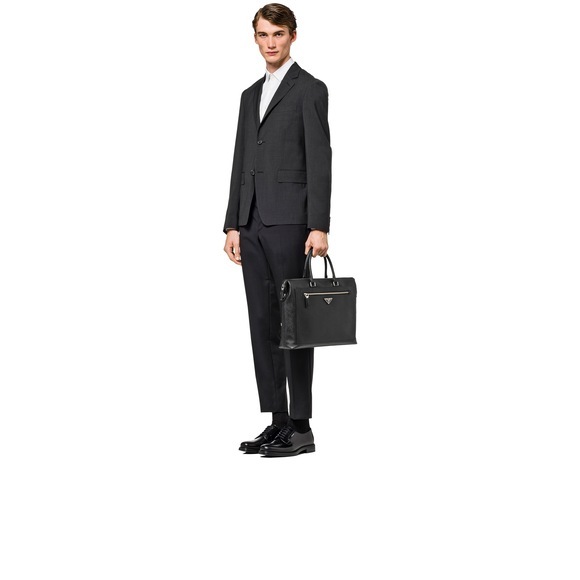 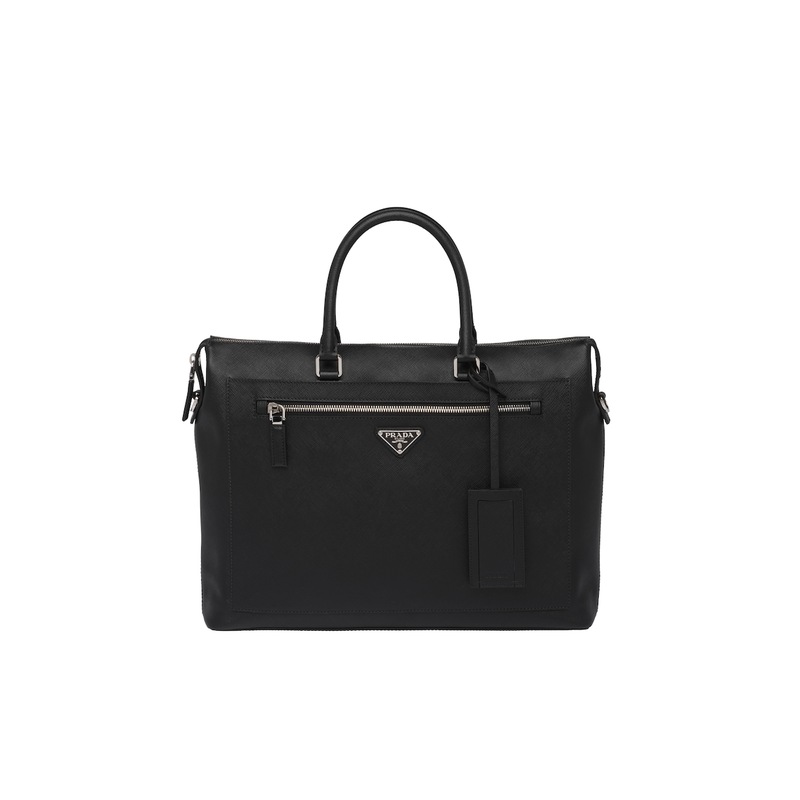 Saffiano leather briefcase with two handles and a detachable shoulder strap. 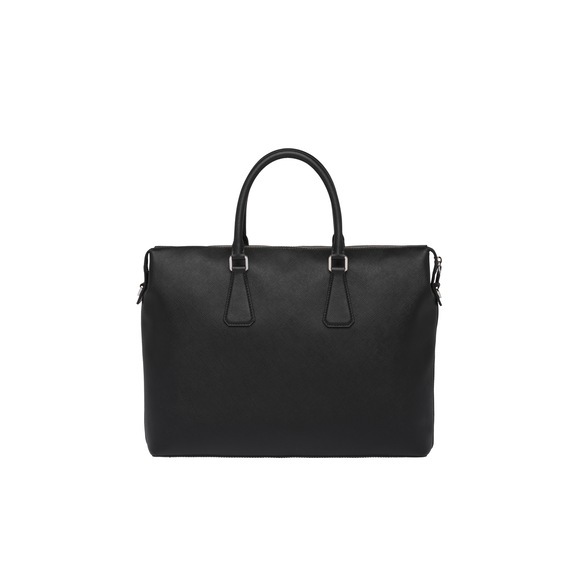 The bag has two outside pockets - one with a zipper and the other with a magnetic button closure. Inside there are three compartments that include a zipper pocket and two cellphone pockets.